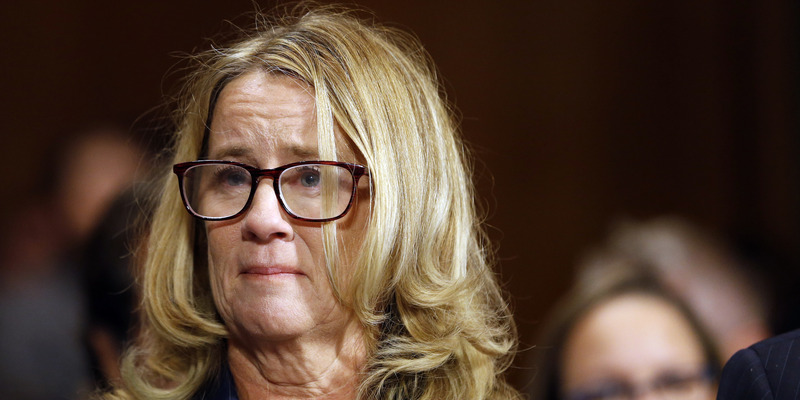 Christine Blasey Ford’s lawyers are scolding the FBI for failing to contact Ford about her claim the Supreme Court nominee Brett Kavanaugh sexually assaulted her when they were teenagers in the 1980s. In a letter addressed to FBI Director Chris Wray and the general counsel Dana Boente, Ford’s attorneys lay out the steps they took to offer their client’s cooperation. Ford’s attorneys say they heard nothing from anyone at the bureau; they say it is “inconceivable” that the agency could conduct a deeper inquiry into the allegations against Kavanaugh without interviewing Ford. The FBI is days into a reopened investigation of Kavanaugh’s background, which was expected to include an examination of various sexual misconduct claims, among other things. The bureau has interviewed Mark Judge, one of Kavanaugh’s close friends who Ford named as having direct knowledge of the alleged attack. Negotiations among lawmakers on the Senate Judiciary Committee last week spurred the new investigation. President Donald Trump ordered the FBI to get started shortly after.